We have no shortage of talented students here at BASIS Independent Silicon Valley. Today we’d like you to meet twins Amith V. and Rohit V. They are our resident “Bee Boys”—masters of spelling bees and geography bees, respectively. Amith is a semifinalist in the CBS Bay Area Scripps Spelling Bee Regional Championship Finals held in San Francisco, and Rohit is a semifinalist in the National Geographic Bee held in Fresno. The boys were even featured in the Almaden Times—read their feature here! 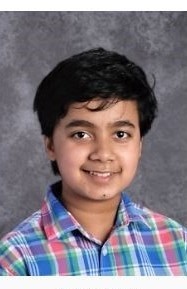 Spelling Bees with Amith V.
Amith is one of 50 students advancing to the oral test in the Regional Championship in San Francisco. The CBS Bay Area Scripps Spelling Bee is on March 17, and this will be his fourth time attending this stage of the competition. What an enormous victory—congrats Amith! CBS even visited our campus on Friday, March 9, to film a cheer with his English class. Why did you start doing these bees? I like to read, and it made me really like spelling. I read all types of books! I’m interested in language itself and it helped me become further interested in spelling. Why do you like competing in spelling bees? I love the history of these words, the etymology, and the origin. It’s all very interesting to me. What is the best part of participating in spelling competitions? The bees often give me words that I don’t actually know, and then I find connections through these words to subjects I am learning in school. What language are you learning in school now and does it help in preparing for spelling bees? I’m taking Latin right now, which helps in spelling because there are a lot of weird words that come from Latin—mostly legal terms—and they can easily relate to other words. What is your favorite part about the competitions? I get to meet other people like me and learn from my peers. What was something that you wish you knew before you started? For the Regionals in San Francisco, you are on a live television set. Black backdrop, bright lights, and a microphone. It can be nerve wracking. People should learn how to keep their cool. Geography Bees with Rohit V.
Each year, thousands of schools and millions of students in the United States participate in school bees leading up to the State Geographic Bees. 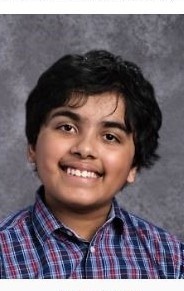 Only 100 students in the state qualify to attend the state final Geographic Bee in Fresno, of which Rohit V. has earned a coveted spot. The Geographic Bee takes place in Fresno on March 6. This will be his second year competing at this level—an amazing accomplishment! How did you discover the Geo Bee? I like to learn new things, and so that pulled me in. I also actually really like to learn about political situations in different places as well as their geographical locations. Alaska. There are a lot of fun things to do and see. Glaciers, wildlife, bears, caribou, goats, diverse landscape, mountains, tundra, flatland—and more! Where is the #1 place you want to visit? Scandinavia—it is very diverse and very safe. They have a happy environment, and I want to experience the culture in person. How long have you been doing the Geo Bees? This is my third year competing. The written test is on the computer and it has 70 questions that you have to answer in 60 minutes. How do the geography bees work? The top student at the school goes to regionals. Then, the top 100 students in the state go to Fresno for the State Geographic Bee. The champions of each State Geo Bee advance to the National Geographic Bee, where there are preliminary rounds and then final rounds. What has been your favorite moment? When I was in 5th grade I went to the State Geo Bee and I was the only 5th grader there! What is your favorite fact? The size of the earth (3959 miles) and the wealth of the United States ($88.1 trillion). Same as what Amith said. There are a lot of people, big places, and you have to get used to everybody competing against you. Study an Atlas! We will never cease to be amazed at the scope of our students' passions and what they can accomplish with a little drive and ambition. Amith and Rohit—on behalf of our entire school, we are so proud of you both! BOTH NATIONAL LEVEL COMPETIONIONS ARE HELD IN WASHINGTON D.C.